We would like to welcome Daniel K. from Tujunga, CA, to the FitnessTrainer.com team. We pride ourselves on bringing not only quality trainers, but quality people as well, which is why we are so excited to have Daniel on board. If you live in Tujunga, CA, review Daniel’s qualifications and training experience below to see if they would be the right trainer for you. 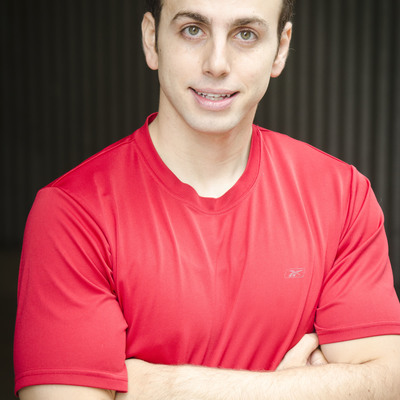 Again, we are happy to expand our personal training services in Tujunga, CA, with the addition of Daniel. Sign up with Daniel K. today! Ever since I was young I have struggled with my weight. I didn’t like the way I looked or felt, and it translated to my social interactions and my self confidence. I had enough and took my life into my own hands. By studying, researching, trial and error, and sheer determination I not only conquered my weight, but went further than I had ever dreamed. I can help you achieve your goals. Whether it is weight loss, weight gain, nutrition, performance training or anything else, I have extensively tested and researched my program to fit everyone and every goal they dream of achieving. My 62-year-old client, who trained with me for four months, went from being 200 lbs deconditioned to 175 lbs with 15 lbs of muscle added. He followed my nutrition to a T and worked out three times a week. He has never worked out this successively in his life and has done an amazing job!